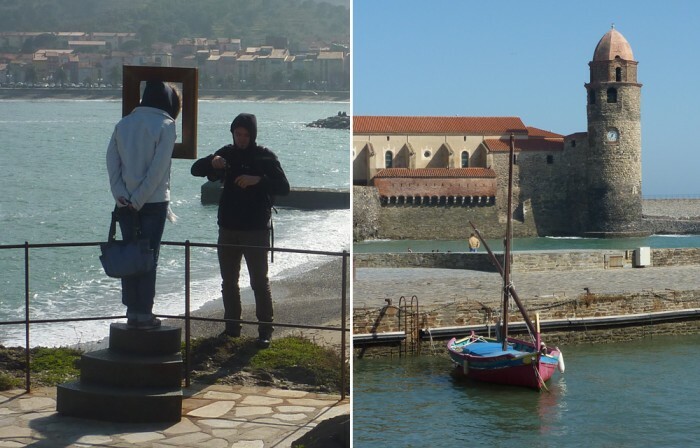 It is still windy, and winter is still digging in its heels, but today in Collioure, the sun is summer bright. Perpignan has come for a day out, sitting in the shelter of the town walls, on the warm stone benches, crowding into the restaurants. Square picture frames in rusty iron indicate to us tourists where the best photographs are to be had, just like those set up on the Costa Brava to celebrate 100 years of tourism. 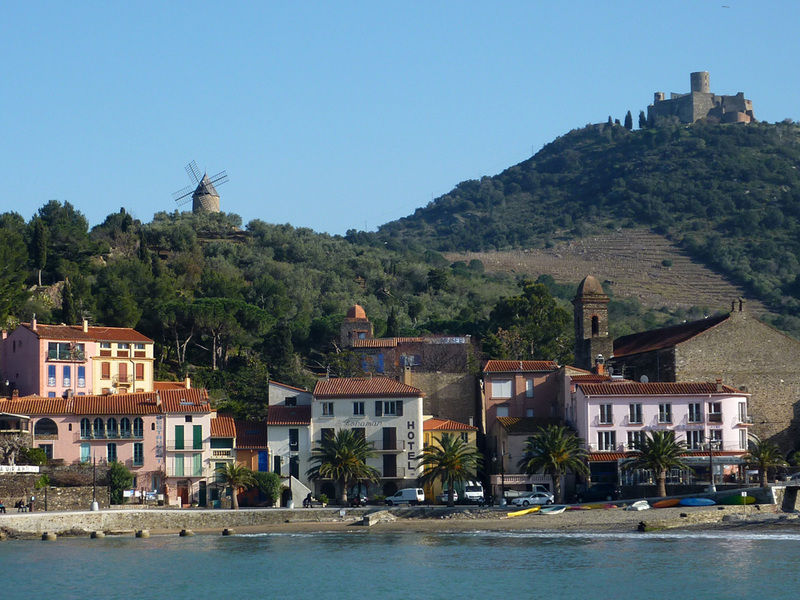 Collioure could be a definition of Mediterranean colour: ochre, pale yellows, strong blues. They must be the same colours seen by Matisse, Derain and Dufy a century ago but the fauves were living in a different universe. Here are the “Roofs of Collioure”, as seen by Matisse. This entry was posted on Saturday, March 2nd, 2013 at 3:56 pm	and is filed under Uncategorized. You can follow any responses to this entry through the RSS 2.0 feed. You can leave a comment below, or trackback from your own site.